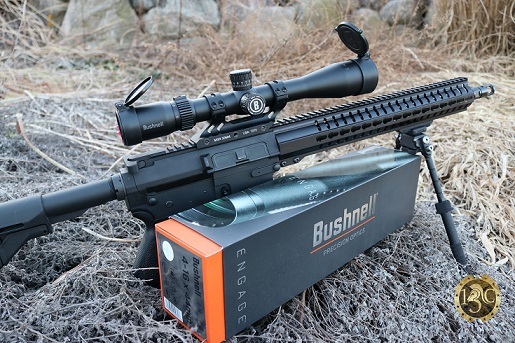 The Engage line of rifle scopes and binoculars is an aggressive push from Bushnell to meet market demands for optics packed with features at near entry level price points. The model we have for testing is the Engage 4-16×44 and we paired it with the new Weaver MSR mount. The rifle you’ve seen before in silencer testing, it’s the CMMG Anvil chambered in .458 SOCOM. We left the Engage on the Anvil for this review so it would see some hard use and to keep punishing it with some of the more stout .458 loads we were running.